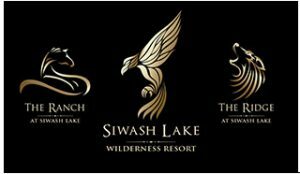 Siwash Lake Wilderness Resort is a very private and exclusive luxury lodge and family owned guest ranch – an intimate hideaway in British Columbia’s Cariboo region – ranking among North America’s finest destinations for luxury ranch vacations, horseback riding, eco- adventures, ultra-luxe safari tenting and more. Our company has been growing rapidly for over a decade. We are a member of National Geographic’s Unique Lodges of the World, a founder of the Magnificent 7 Luxury Wilderness Lodges of Canada, proud member of the Destination Canada’s Signature Experiences Collection and an approved property by Conde Nast Johansens. Siwash is inviting experienced tourism workers and those interested in the industry to join us for our 2017 guest season and beyond. We’re looking for fun, energetic, and engaging people to join our amazing service-oriented team. We pride ourselves on creating an unforgettable experience through our service excellence. Come join us in these exciting times!